As a retailer of Naming Ceremony gifts we often get asked the question 'what is a Naming Day?' Hopefully this infotmative guide will help clear this up. A Naming Day is a very special occasion in a family’s life that is increasing in popularity across the UK. As it is a secular (non-religious) event, most people choose to organise one in place of a christening as an alternative celebration. Secular ceremonies are free of any commitment to the Christian family religion and instead act as a special welcome to your child. There are many differences between a Naming Day and a Christening, for example, instead of a vicar or priest running the service, it is a licensed celebrant. So what is a Naming Day ceremony? Put simply, it is an opportunity to officially 'name' or 'welcome' the child and also provides the perfect chance to declare in front of family and friends that you promise to be a good parent. Everyone can feel involved and confirm their special relationship with your child and act as witnesses to you pledging your love and support for your little one’s future development. Essentially, it is a memorable occasion, celebrating your child, in which as parents, you state your love and commitment to your child. What is a Naming Ceremony service? The service is entirely up to you as you can organise it how you wish. They usually last between 20-45 minutes and either you can lead the ceremony yourself or a trained celebrant can do it for you. You can choose to read a poem or reading, and pick a special piece of music to play - it really is up to you. And if you want to, whilst the parents issue promises to the child they can also give vows to each other. Do I need to name godparents? In a christening, the godparent has the traditional role of helping to guide the child in a Christian life. Similarly, you can assign supporting adults who will promise to be there for your child throughout his/her life. Various names are chosen for this role including Guideparent; Sponsor; Mentor; and Guardian; which one you choose is entirely up to you. No it is not a legally binding ceremony. You are given a certificate as a commemorative document, signed and presented, but it holds no legal status. If you want to change your child’s name, you can seek legal advice at the Citizens Advice Bureau. Christenings mostly take place just for babies when they are very young but there is no age limit on a Naming Day and the child can be of any age. Many people organise the event to welcome an adoptive child into the family or to embrace stepchildren into the family as a whole. And it doesn’t just have to be for one child- you can also include other, older children in the ceremony too. Where can a Naming Ceremony take place? Absolutely anywhere! At the city hall, in a marquee in your garden, at a hotel or even in your own living room. The location/venue does not have to be licensed because it isn’t legally binding. Can I combine the Naming Ceremony with a First Birthday? Yes this is becoming increasingly popular and makes sense as you will likely want to gather the family and friends together in one place anyway for the birthday celebration. Will the ceremony offend my religious relatives? Not at all; the Naming Ceremony is nothing more than a lovely celebration of the child and the commitment of the parents to love and support them throughout their life. There is certainly no 'Humanist agenda' and people of all faiths or no faith will be able to participate in and enjoy the ceremony. Can we involve other family members in the ceremony? Yes absolutely. It's not uncommon for big brothers and sisters to give readings or make their own promises to their youngest sibling. In addition the grandparents are encourages to read a poem or say a few words too. What about Naming Day Gifts? It is customary to present the baby with a special Naming Day gift to mark this special occasion, especially if you are a close family member or a sponsor, guardian or guide parent. 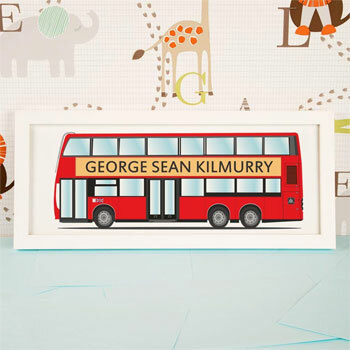 Personalised gifts make great ideas for such an occasion because you can include the child's name on the gift! Here a Born Gifted, we offer a vast range of Naming Day gifts suitable for presenting to a baby and their families on the big day. If you decide you want professional help planning and executing your Naming Day Ceremony the British Humanist Association has lots of great information. Hopefully we have fully answered the question 'what is a Naming Day?' If you have any more questions please feel free to contact us as we're always happy to help! Copyright Born Gifted Ltd. Updated May 2016.